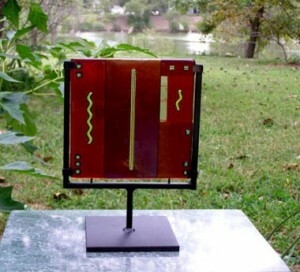 Fuse glass is an ancient art form dating at least to the time of the early Egyptians. Also called “kiln formed glass” or”warm glass”, the process involves layering colored glass and accent pieces in successive firings at temperatures approaching 1500 degrees. My process begins with a mental image taken from a cultural expression or forms from nature. I see geometric forms and colors, which to me are the essence of the natural landscape. I create the spirit of that image in glass. In my glass art I try to capture landscape planes and geometrical patterns that appear to me in the valleys, mountains, streets and oceans. As a child in the Brandywine Valley of Delaware, and as I have traveled in America, Europe and Mexico, I have been drawn to the structure of life, the repeating forms that provide the skeleton to artistic expression in every tradition &ndash; the Native American, the European, the Asian, the North American. I hope that in producing art which blends traditions and defies cultural categorization, I bring to the viewer a sense of our common aesthetic sense as human beings. I make pieces in a variety of sizes and shapes: square and rectangular platters, bowls, small dishes, coasters, sconces, table art and wall hangings. All of the glass I use is lead-free and non-toxic and can be used with food. 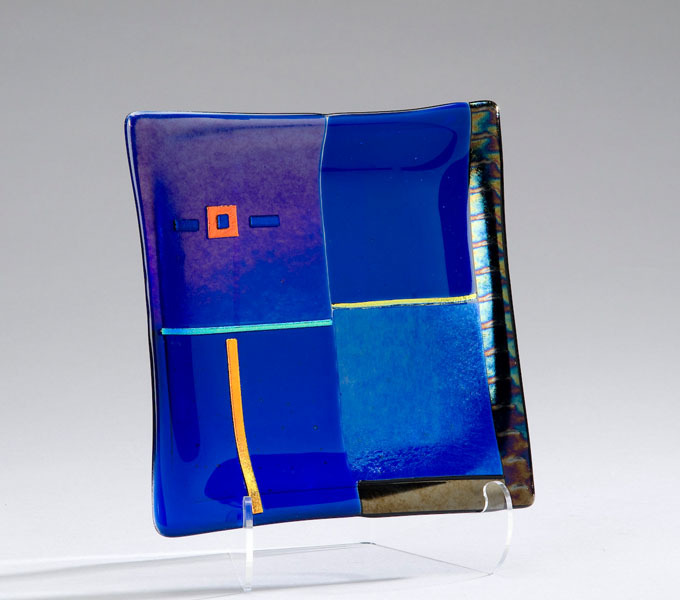 Fused glass is an ancient art form dating at least to the time of the early Egyptians. I make pieces in a variety of sizes and shapes: square and rectangular platters, bowls, small dishes, coasters, sconces, table art and wall hangings and jewelry. 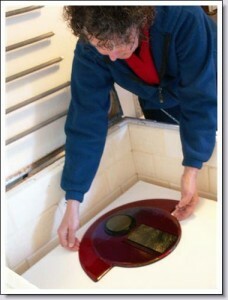 All of the glass I use is lead-free and non-toxic. The functional pieces can be used with food. All of the earrings have sterling silver ear wires.